Beirut, October 11, 2018 - A decorated international field spanning seven different nationalities will battle it out for glory in the elite women’s race at the BLOM Bank Beirut Marathon on November 11, an IAAF Silver Label Road Race. Though Kenya and Ethiopia are well represented it will come as no surprise if the title goes to one of their East African rivals, with Eritrea’s Nazret Weldu set to make her debut at the distance. The 28-year-old has slowly moved up in distance over the years, from life as a 400m runner in her teenage years to a half marathoner in recent years. Earlier this year she finished 26th in the IAAF World Half Marathon Championships in Valencia in 71:45 and if she carries that form to the full marathon she will be a force to be reckoned with in the Lebanese capital next month. Kenyans Ednah Mukwana and Rebecca Korir are also sure to feature. 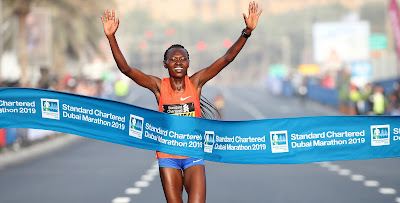 Mukwana has a best of 2:30:24 which she ran to take victory at the Zhengzhou Marathon earlier this year, while Korir has a best of 2:29:16, which she ran to finish third at the Rotterdam Marathon in 2016. Another who will be in contention is Lithuania’s Raza Drazdauskaite, a three-time Olympian who clocked 2:29:29 to finish 26th at the London Games in 2012. She is also a 69:08 half marathoner at her best. Belarus’s Sviatlana Kudzelich comes in with impressive form at the shorter distances. The 31-year-old was a European indoor silver medallist over 3000m in 2015 and earlier this year she set her half marathon personal best of 71:45 in Prague, while she will make her long-awaited debut at the marathon in Beirut. Ethiopia will have a trio of strong contenders in the form of Almensh Herpha, Medina Deme Armino and Nigist Muluneh Desta. Herpa took victory at the Lagos City Marathon on her most recent outing over this distance, while the Ethiopian has previous form at the BLOM Bank Beirut Marathon, finishing third in the race in 2016. Armino has been enjoying a breakthrough year after lowering her PB to 2:33:17 when taking victory at the Treviso Marathon in March, while Desta lowered her best to 2:36:54 when finishing third at the Shenzhen Marathon last December. Another potential champion could be Kazakhstan’s Gulzhanat Zhanatbek, who finished 14th in the marathon at the Asian Games in Jakarta in August. There will also be a strong local contingent, with Nisrine Njeim, Nadine Kalot and Hiba Traboulsi hoping to make an impact against their international rivals. Fellow Lebanese elite athletes Chirine Njeim, Nadia Dagher and Zainab Bazzi will tackle the half marathon, where Njeim will be targeting the Lebanese record. Athletes will compete for a first prize of US $15,000, with an additional time bonus of US $10,000 available if the winning time is under 2:25:00. 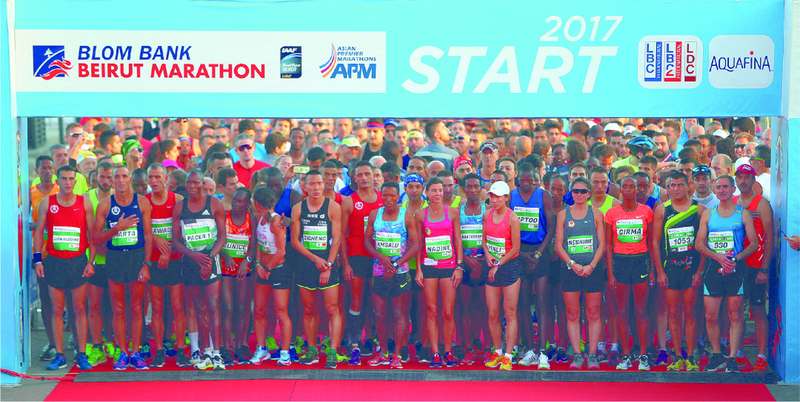 There is also a bonus of US $3,000 available for a course record of 2:28:38 or faster, a time that was set at the 2017 edition of the race by Bahrain’s Eunice Chumba. There will also be substantial prize money and time bonuses available for the first Lebanese finishers, the leading para athletes and the fastest athletes in the half marathons, races which will also take place on November 11. This year’s event will also incorporate the 50th World Military Marathon Championship, which will feature 98 runners from almost 20 countries. 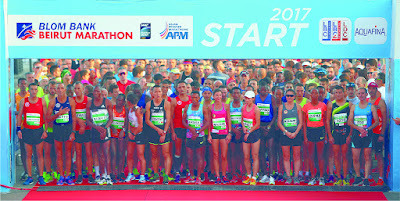 The BLOM BANK Beirut Marathon will also be the first leg of the Asia Premier Marathons, which is now in its second season.